Are You Turning Off Your New Employees on Day One? During my 32-year federal career, I encountered hundreds of new employees who were enthusiastic about the promise of a great government career and the opportunity to make a difference. But after a brief period, far too many of these bright-eyed, bushy-tailed people were turned off and, in some cases, became downright cynical. How did this happen? They certainly didn’t mysteriously morph into the stereotypical government employee. No, it was the onboarding process and the way managers treated these employees that caused them to turn to the dark side of the force. Does this scenario sound familiar? An employee comes to work on her first day and reports to a room for orientation. The room is bland and probably has a couple of old and meaningless photos or signs hanging on the walls. After filling out the usual mix of personnel forms, she and other new employees listen to a series of speakers, several of whom drone on with little energy and no apparent enthusiasm for the job. Rarely does a senior leader attend this type of session, and more often than not, the new employees leave the session having no idea about the organization’s history or where it is going. The employee is then placed in a training class, or immediately thrown on the front line with little opportunity to learn the ropes. She might not yet have an assigned desk, phone or computer with the requisite ID and password to get started. Often new employees don’t have a mentor assigned to them either, so it becomes a matter of fending for themselves. Without the requisite support, people get off to a poor start, which produces frustration, despair and cynicism. Fortunately, onboarding is a relatively easy process to improve. Here’s how to design a robust program that will immediately get your new employees off to a good start and help connect them to your mission, vision and performance goals. The interview process is the first phase of onboarding because it’s an opportunity for both parties to determine whether they would be a good fit. Each finalist should spend time on the work floor before a selection is made. He may realize that position is not or him. Better to find that out now than after he gets on the job. Make sure the requisite paperwork is ready for employees to review and sign on the morning they arrive and a human resources manager is available to answer any questions. Make sure they have a desk, phone and computer set up. These are all signals that new employees are important to the organization. Have new employees report to a room that is vibrant and celebrates the great work of the organization. It should be well-lit and contain inspiring displays about the mission, vision and values statement -- a pictorial roadmap, a timeline depicting the evolution of the organization, pictures of success stories, performance information. Showcase speakers who represent the organization in a positive light. There is nothing worse than an unenthusiastic, poorly dressed employee who addresses the group in monotone and drones on about who knows what. This will instill doubts about the long-term prospects of working for the organization. Have someone from the leadership team welcome new employees and detail the organization’s history, objectives, goals, opportunities and challenges. Employees should feel they are a part of something special and understand their role in the organization. Then they will spend their time helping to achieve its goals rather than trying to figure out what’s going on. Develop two videos: One on the broader organization and the other about the local unit’s strategies for delivering the best service and the potential for career growth. This ensures everyone is on the same page. Assign a mentor to each new employee to help her navigate the organization, understand its politics and learn the unspoken norms. The official mentor/mentee relationship should last for at least a year. Prepare an individual development plan within the first month, making it clear that improving one’s knowledge is a high priority. Provide frequent feedback to nip potential problems in the bud. Every time you discuss performance, go over the individual development plan to ensure a clear link between the goals and performance. 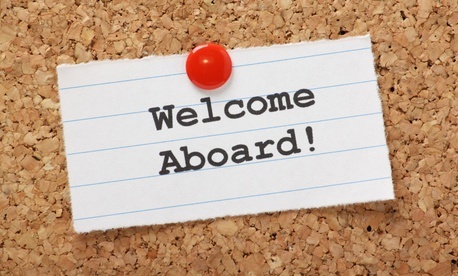 Developing an effective onboarding program is in everyone’s best interest. Invest the time to design a great one and your organization will reap the benefits for many years to come. Stewart Liff is a fellow with The Performance Institute, specializing in human resources management, visual performance management and team development. He is the author of multiple books, including Managing Government Employees and A Team of Leaders. Contact him at Stewart.Liff@Performanceinstitute.org. Next Post | Do Workers Slack Off More When the Economy's Better?